​ That this entry ramp to another cold war has come to pass during just the last year, and not during the previous eight, should not escape your notice. It didn’t take You Know Who (YKW) long to offend both neighbor countries and the ones far away, across big oceans. Very big oceans. And, for those of you who either lived through it or studied history, remember that the previous cold war lasted almost 40 years. With all due respect to World War II, it is the last war we fought and won in which it was clear who were the Good Guys and who were the Bad Guys. For a lot of us, while it was more Boris and Natasha than “The Americans,” it was scary. 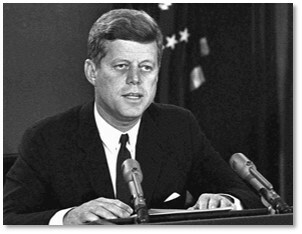 I remember my family listening to hear President Kennedy’s speech about the Cuban missile crisis; terrifying. This time around, though, the tactical thinking is both more refined and a lot sillier. For instance, the planners today talk of “low-yield” systems, which would allow us to hold the “high-yield” systems in reserve. What is “low yield” you ask? 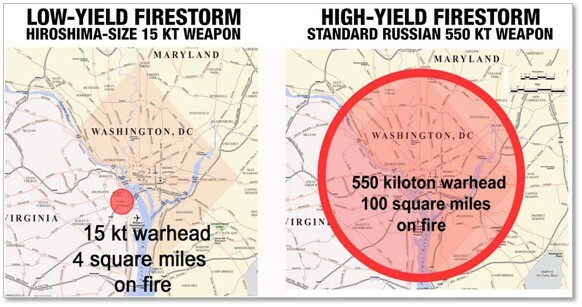 In the example used in the article, low yield might be one or two kilotons; high yield, 100-450 kilotons. The standard for such comparisons, the atom bomb dropped on Hiroshima in 1945, was about 15 kilotons. So, splitting hairs can produce different levels of destruction. 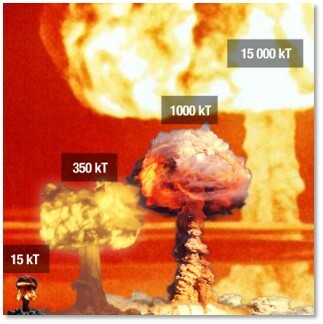 Lest you rest easy, thinking, “Well, how much damage can a tiny, little one kiloton nuclear bomb do?” consider this: A kiloton is equivalent to 1,000 tons of TNT. Its explosive power would kill from 5,000-10,000 people outright. It would destroy most buildings within a .5-1-mile radius. In addition to these immediate physical impacts, a one-kiloton device would produce radiation, burns, and various other injuries. This is the silly part. Planners might call it “casualties of war” or “acceptable rates” of death and destruction, yet many living things would die horrible deaths. Radiation isn’t confined to one area; the wind tends to move it around, plus the radioactive elements and ions have long half-lives. Aquifers would be contaminated. You get the picture. Another silly point relates to the fact that these low-yield missile heads would be sea-based systems. So, before we could deploy them, we would have to get permission from countries that have territorial ocean concerns; i.e., asking for permission before going to war. Why, presuming all countries want good education, housing, health care, and food for its citizens, do these warlike attitudes manifest themselves? Why our planners, deep thinkers, and military personnel keep going down the same roads is a question for another time. I suspect that similar scenarios unfold in other countries, too. All of this may be moot. Because the military just developed these threat scenarios, there is no budget to do any of this work. Since the Congress has trouble keeping the government from shutting down, this may be the most comforting news of all.